For some, finding a wedding venue can be a tough task, while for others finding the best wedding location is of prime importance. Wedding locations are usually picked by measuring convenience, expenses matter too, but if it’s not convenient, it’s not worth it. Situated at the northern tip of Western Mumbai, Kandivali and Borivali are some of the major suburbs of Mumbai. With easy connectivity to the Western Express Highway and Railways, these locations are most sought after wedding locations making it a hub for most grand weddings. This week we bring to you top 5 banquet halls in Kandivali and Borivali that will help you host a wedding on a budget without compromising on quality and ones that are convenient too. A swanky banquet hall nestled in Kandivali West; Shree Balaji Banquet offers 15,000 sq. ft. of luxuriously decorated open space that seamlessly fits contemporary needs of modern couples. Their expert event coordinators are experienced in hosting all sizes of events. Whether it’s an audio-visual requirement, certain culinary choices or you wish to create a particular ambiance, their team will ensure they meet or exceed your needs. If you’re looking for a sense of intimacy with an immense aura of grandness, Shree Balaji can create a magical atmosphere for you at their flawless banquet space. Exquisite interiors with stunning ceiling, large foyer surrounding, lavish décor and luxurious service welcome you at this amazing banquet hall in Kandivali West. Balaji Party Hall provides 6,000 sq. 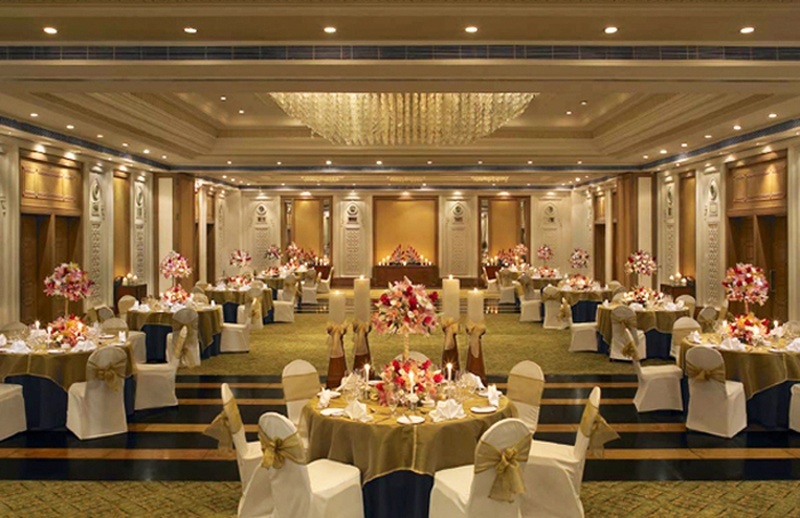 ft. of space to host your grand Indian wedding in a flawless setting. Their decorators dress up the venue in a way that is beyond excellence and their wedding planning team ensures that no detail of your celebration has been overlooked. Their culinary experts customize the perfect menu for your wedding and set up food stations that are guaranteed to delight your guests. With a dedicated team at your service, at Balaji Party Hall you can witness your dream wedding vision turn into a reality. Located at close proximity to the Western Express Highway and just 10 minutes away from Borivali Station, Aditya Banquet Hall is a dream banquet hall in Borivali West making wedding celebrations a grand affair. Not only weddings, if you’re looking for a space to host an engagement party, mehndi or sangeet celebration, Aditya Banquet Hall creates an ideal ambiance for you to have a party of a lifetime. Their in-house décor team can work their magic to create any theme set up, while their expert chefs prepare a whole range of scrumptious multi-cuisine options that could easily leave you confused. Aditya Banquet Hall has an adjoining lawn area that is a dedicated facility for buffets. With systematic arrangements and expert team at your service, you can be rest assured that you cannot go wrong with booking Aditya for your dreamy wedding. Hosting a grand style resort wedding that too in place like Borivali is now possible - all thanks to Eskay Resorts. This exquisite resort located in Borivali West, not only offers a plush banquet hall, but also lets out its lawn and amphitheatre area to celebrate a wedding of a lifetime. Whether you want to have an intimate celebrations or a majestic affair, their team will be available for you round the clock ensuring your tiniest requirement are met to perfection. More details about the venue are available on request. If you’re planning to have a posh intimate wedding celebration, just the way most modern couples these days wish to host minus all the unknown relatives, then Evershine Club has the most seamless banquet halls in Kandivali East to offer. On the other hand, if there is no way to avoid those relatives and you’ve end up with a never ending list of attendees, for such big fat Indian weddings Evershine Club lets out its lawn area. This 15,000 sq. ft. space is equipped with state-of-the-art facilities that ensure your celebration is one lavish affair. Should you have a theme in mind, their in-house decorators will work with you to create a dream ambiance, while their culinary experts will leave no stone unturned to offer the best spread of multi-cuisine dishes. Interested in booking either of the above mentioned venues? Drop in an enquiry at info@weddingz.in. If still looking for more options, check out the venues best venues listed with us here.